Hunting around in my little minibar last night for something nice to sup and happened upon this old classic. The second of two bottles I picked up from the Cuatrogatos wine club a year or so ago and probably the last of its kind to be seen around here. It is a lovely tipple. 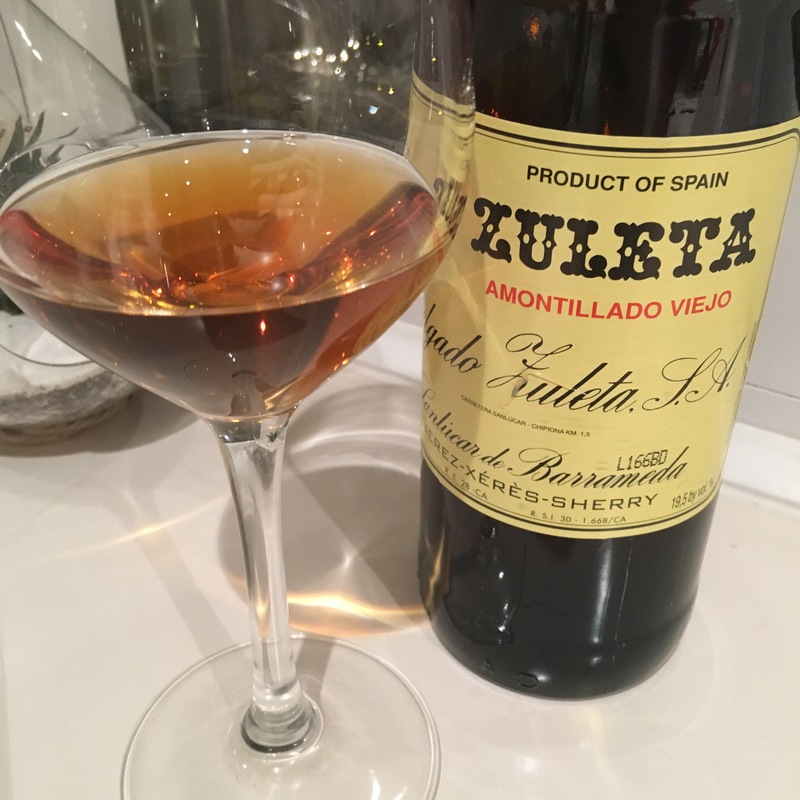 A great example of a Sanlucar amontillado – elegant and sharp – but relatively fruitful too. As you can see, it is as clear as a bell and a lovely red-brown amber. On the nose it has seasalt and burnt hazelnut caramel, nice inviting sweetness to the nose. On the palate it has a nice clarity of flavour and shape. A lovely spine of salinity through it, starts razor sharp and finishes long with the mouth watering, and a mellow sweet-sour caramel flavour with waspish acidity at the end. Am I glad I had a second bottle of this. Lovely drop: enjoyable but serious too. As I understand it, you can still buy it from the tasting room at Delgardo Zuleta, but from the barrel rather than in bottle.